Apply! Our application is straightforward and accessible online here. Be as accurate and thorough as possible so we can get a good sense of who you are. Interview with one of our staff members – it’s important to us that we get to know you as you move through the application process. Help us finalize your file. This includes any certifications you have, like CPR or first-aid, letters of recommendation, and background checks. Attend Orientation! Once we have interviewed and screened you, we will invite you to attend an orientation so you can become more familiar with our policies as an agency. It’s as simple as that! Once you’ve been hired on, we’ll match you with families and get you started. Learn more and start the process at this page. We look forward to working with you! P.S. Don’t forget – TLC caregivers must be eighteen or older; have a high school diploma or GED; be able to provide your own vehicle and valid driver’s license; be eligible to work in the U.S.; be willing to provide a clean police record check; and be able to give TLC at least three verifiable childcare references. Contact us with any questions! Are you stressed at home but unsure what type of assistance you need? TLC can help! Through our rigorous application and screening process, we provide you with caregivers to match all your needs. We have at our disposal the largest and most experienced pool of experienced caregivers – in many specialties! With the help of our placement counselors, find the help that you and your family need. Remember, TLC works with you to find the caregiver that best suits your needs – live-in or live-out, part-time or full-time, summer, after-school, or year-round! Each of our nannies can provide their own transportation, references, background checks, high school diploma, and unique set of skills and experiences. They, and we, are excited to meet you. Contact us at tlcforkids.com today! As summer draws to a close, it’s almost time to wrap up the summer fun and return to the school year routine. No matter how old your kids are, this change comes with some unique challenges. 1. Create a schedule together. Change is hard. As a family, including your nanny, talk about what a typical day will look like for your family in a few weeks when the schedule changes from summer to school. Make it fun by using arts and crafts supplies, or by using a big white-erase board and letting the kids contribute. 2. Keep that summer fun alive. Just because the season of endless play-time is ending, it doesn’t mean that the fun has to end. That same excitement can be a part of your kids’ everyday life moving into the school year. Set aside some time daily or weekly to play their favorite summertime games ( as long as the weather allows), do a craft project using photos or other memories from the summer, or brainstorm your next family vacation together. Your TLC nanny can help ease into the new school year by keeping the fun going! 3. Think about what help your family needs. A nanny can take on very different roles during the summer and during the school year. During the school year months you may need someone to help with homework and transportation. Or, maybe now the nanny needs to take on more household duties. Think through what is best for all of you, and adjust accordingly. TLC for Kids can help you with this transition, whether you need a new nanny, activity ideas, or tools to have a conversation about the change you’re about to undergo. Don’t hesitate to reach out with your questions and your needs. 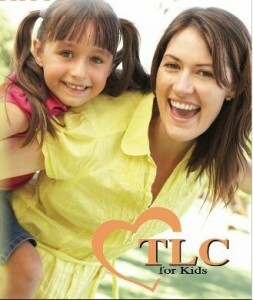 Contact us at tlc@tlcforkids.com. Or, call TLC Florida at 305-256-5905 or TLC St. Louis at 314-725-5660. TLC For Kids has been providing nanny placements for 30 years in St. Louis and a few years ago started a nanny agency in Florida. TLC is often asked how a traditional nanny agency is different than the do-it-yourself options on the web. Here are some of advantages of using a brick and mortar nanny agency. A good nanny agency is a time saver for both the nanny and the family. A good nanny agency has an established reputation based on previous nanny placements, which in turn draws additional nannies and families into its registry, improving the choices for all. A good nanny agency treats the nanny and family as equals. Both are our clients! A good nanny agency stands behind its placements with trial periods and impartially counsels both parties in case of on-the-job conflict. TLC for Kids is one of the first agencies in the country to provide nanny placements. Our Placement Counselors are experts in their fields and have 10 years experience placing nannies with families. Visit our website to learn more about TLC for Kids and to start the placement process.